What is Kids' Chance Awareness Week? Kids’ Chance Awareness Week is an initiative designed to highlight existing Kids’ Chance programs and state organizations by providing our supporters with a focused time frame to be engaged with and raise awareness about Kids’ Chance and our mission. 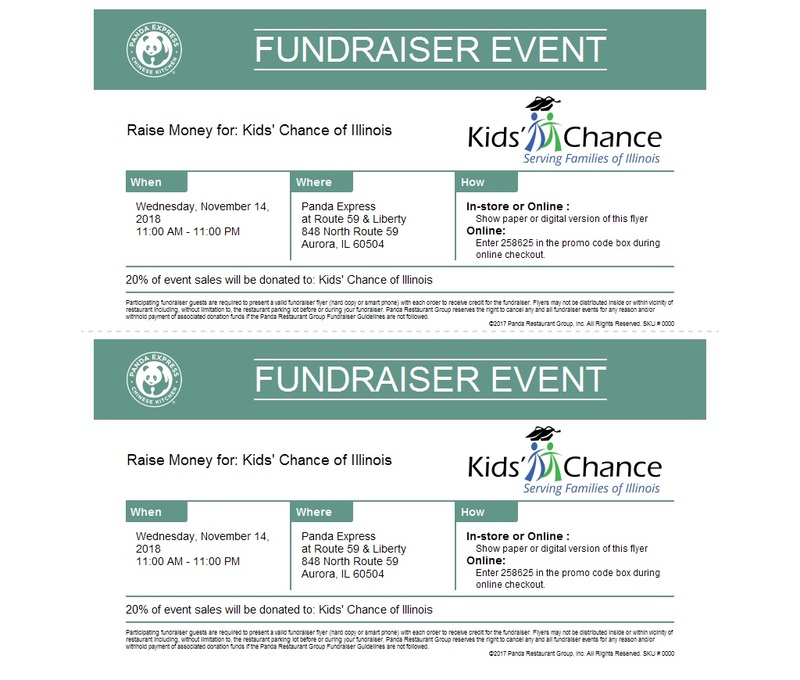 Kids’ Chance of Illinois believes that we can make a significant difference in the lives of all children affected by a workplace injury by helping them pursue and achieve their educational goals. We strive to raise more money for more kids and Awareness Week is an important piece in achieving that goal. How can you and your company help? Change Collection. Encourage all employees to bring in extra change all week. Jars with the Kids’ Chance logo and mission can be placed around the office for easy access. This can even be made a competition with different departments keeping their own jars. All the change collected can then be donated to the respective Kids’ Chance of Illinois. Dress Down Day. Have a casual office day where employees can only participate if they donate to Kids’ Chance of Illinois. 50/50 Raffle. Hold a 50/50 raffle one day at the office with proceeds going toward Kids’ Chance. Pizza Lunch. Have a pizza lunch day with chips and soda. Employees can participate if they make a donation to Kids’ Chance. Press. Share any Kids’ Chance press, written during the week on social media and with Kids’ Chance of America. Remember to tag @kidschanceofIL on Facebook! Don’t forget to share your activities and stories with Kids’ Chance of Illinois so that we can share them on our site and social media platforms! Donate While You Shop With Amazon Smile. AmazonSmile is a website operated by Amazon with the same products, prices and shopping features as Amazon.com. The difference is that when you shop on AmazonSmile, the AmazonSmile Foundation will donate 0.5% of the purchase price of eligible products to the charitable organization of your choice ​Please take a moment out of your day to select Kids' Chance of Illinois as your AmazonSmile charity and bookmark the link to make sure every purchase helps Kids' Chance of Illinois. You have to log in to smile.amazon.com when you shop.